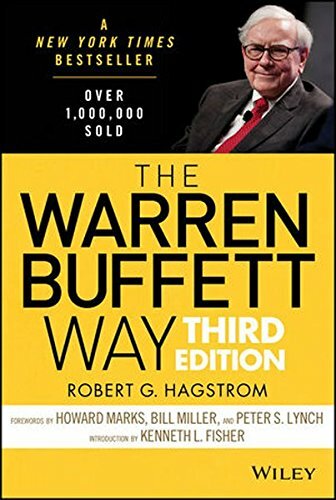 The Warren Buffett Way Summary provides a free book summary, key takeaways, review, quotes, author biography and other vital points of Robert G. Hagstrom’s book about Warren Buffett. Robert G. Hagstrom presents the secrets of Warren Buffett. In this book The Warren Buffett Way, he covers how Warren became the world’s most successful investor. Hagstrom starts by discussing the early influences in Warren’s life. These include Benjamin Graham, the very first professional analyst to Philip Fisher, an investment counselor, and professor. The key to Warren’s success is that he stuck by his core principles to make investment decisions. You’ll learn the core practices and principles which made Warren successful and so wealthy. But, the vast amount of financial analysis offers too much information about every investment in Warren. This may be overwhelming if you only want to learn the basic principles. We suggest this book The Warren Buffett Way to all those who make investment decisions. Why it is good to say ‘no’ to shady deals. Warren Buffett began his investment firm in 1956. The initial investment was just $100. By 1993, this amount became $8.3 billion. Warren analyses every firm before investing. He doesn’t study the market; instead, he analyses the business. Develop the ability to say “no.” Don’t grab a deal even if it is not right. Wait for the right time. It’s wiser to buy a small group of the best businesses at decent prices. Don’t opt for a highly diversified portfolio, just for the heck of it. Stop paying too much attention to the stock market. Emotions influence trading. Don’t worry about the share prices on a daily basis. It doesn’t matter much. Stop worrying about the economy. Buying a whole business and acquiring shares in it are not different. Warren Buffett became the wealthiest man in the USA in 1993. His net worth during that time was $8.3 billion. Warren is still the only one among the 61 Americans billionaires who made his money from stocks. He began his investment firm with a mere investment of $100 in 1956. Seven limited partners added $105,000 to the fund. After thirteen years, he had made $25 million. In the years that followed, the amount went up to $8.3 billion. Warren’s key to success was following a strategy centered on strong business precepts. Beginning in 1965, he used Berkshire Hathaway, as a vehicle to expand into other investments. On buying shares in two insurance firms, he made many other sound investments. These include Blue Chip Stamps, the Nebraska Furniture Mart, the “Buffalo News” and so on. Every single time, he analyzed the business carefully. This included examining the management and the share value against the earnings. Only after being entirely sure, did he decide to invest in it? Berkshire Hathaway got funds in the form of earnings from those businesses for more expansion. Two men had a strong influence on Buffett while he was developing his investment strategy. Benjamin Graham was the father of financial analysis. 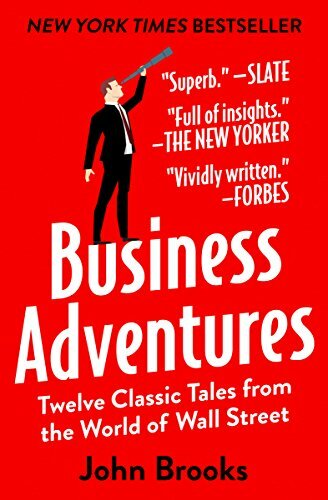 Warren got his first orientation about treating a share investment as a business investment from this book The Warren Buffett Way. As per the book, a sound investment is one which is wisely picked and has a diverse portfolio of common shares. This portfolio also needs to have a reasonable price. Graham stressed the significance of collecting information about an investment, evaluating its merits. He then advised people to find a stock’s appeal by identifying if it has a decent return rate. Graham said investors would benefit most if they find undervalued stocks. Philip Fisher was another significant influence in Warren’s life. Fisher was an investment counselor who started his career during the late 1920s. Warren learned the significance of investing in businesses having an above par potential, from Fisher. He also learned the importance of a company to have competent management. Firms that can increase profits and sales quicker than the market average impressed Fisher. He looked for companies that had high-potential products. These products were capable of allowing sales increases in the future. Such firms have higher profit margins. They’re also cost-effective and have healthy accounting controls. From these investment gurus and his own experiences, Warren learned a lot. Warren came to know the importance of analyzing firms before investing. He learned to pay equal focus on financial reports, and the competence of the management team. Warren built many contacts throughout his career. Hence, it was easier for him to know the real performance of the firms he was studying. Warren also learned to ignore shifts in the stock market. This way he was able to arrive at his own decisions about a firm’s potential. He identified if a firm’s current price made it a significant investment. Then, he would wait for the correct time to invest. Warren ignored the stock market all through his career. He claimed that emotions, mainly greed, and fear, impact the market. Hence, a stock’s value may not be in line with the core values of the business. Speculators benefit from such ups and downs by predicting price changes. But, in the long-term, stocks aren’t going to beat the business values. Hence, over time, speculators won’t be doing as high as a wise business investor. Most investors and money managers have a herd mentality. They react to even the smallest changes in the market. Leading them to disaster is straightforward. But, the smart investor is ready to unfollow the crowd. He also makes large purchases when others are avoiding it. This is often the time to benefit from the low price of a healthy business. Avoid economic shifts. This is because the economy is akin to a horse on a racetrack. It is right on some days, but wrong on others. The firm’s long-range performance is crucial. Though economic cycles aren’t important themselves, you should be aware of inflation. As inflation can affect a firm’s rate of return, an investor must check how the firm is coping with it. The economic goodwill of a firm is also crucial. This differs from its accounting goodwill which one can see on the balance sheet. Emotions beat the reason most of the time. Hence, greed and fear take a firm’s share prices up and down its intrinsic value. Economic goodwill is an attitude about the firm resulting from its excellent performance. A company can charge high prices and get high returns on one condition. That is if it keeps a positive and good reputation. Hence, economic goodwill also helps increase the value of its shares. It’s better to buy a small group of the best businesses at decent prices. And not keeping a diverse portfolio, just for the sake of diversity. Instead of keeping your eggs in many baskets, be choosier. They must all be great businesses. And buying them at a good value is also important. Warren’s portfolio mainly had firms from the consumer manufacturing and finance sector. He didn’t invest in technology firms in the past. His primary focus was on some specific sectors which he knew well. This helped him make an informed decision. He also stayed away from utility firms. This was to avoid areas where firms and their earnings were regulated. Warren has many sound strategies to buy stocks. For example, he’s always willing to say “no” for a wrong deal. While most investors buy and sell shares frequently, Warren sits tight. He keeps his stocks for a more extended run. As per him, “playing with a portfolio every day is not wise.” Instead, it’s better to buy and stick with the best businesses. He then recommends moving from stock to stock in areas which are beyond fabulous. As per Warren, buying shares in a firm and buying the firm are the same. They hold positive potential for the long-run. Honest and wise managers manage them. Their prices are attractive and reasonable. Warren uses the following factors to examine a stock or business. Business tenets – The business is easy to understand and has consistent performance. It should also have bright long-run prospects. Management tenets – Management operates on logical principles. This includes investing extra capital at above par rate of return to stockholders. Managers must’ve integrity and be transparent with the shareholders. Financial tenets – Check the firm’s return on equity, and net earnings per share. Choose a firm having an excellent profit margin. Look for a firm which makes at least a dollar of market value for each dollar retained. Market tenets – Value the company. Then see if you can buy it at a good discount relative to its value. Permanent holdings – His permanent holdings include four firms which Warren resolved never to sell. These companies had great value. He selected the Washington Post as it is a leading daily having great economic goodwill. Warren chose Geico Corporation due to its enduring profitable franchise. Geico sells low-cost insurance sans any agent. Capital Cities is another permanent holding. It’s an $11 billion communication and media business. Capital Cities has cable, radio, TV and other networks. Warren recently invested in Coca-Cola. This company has both considerable recognition and the best distribution system in the world. Fixed-income marketable securities – These cover investments which provide the maximum after-tax returns. Warren’s long-term bonds cover RJR Nabisco and the Washington Public Power Supply System. USAir Group, American Express, Salmon Inc. and Champion International are his convertible preferred shares. Equity marketable securities – Warren chose many equity marketable securities. These include the Wells Fargo Company, Gillette Company, Guinness PLC, General Dynamics, and the Federal Home Loan Mortgage Corporation. Individual stocks – The individual stocks Warren holds cover the Salomon Inc., Gannett Company, Walt Disney Company, PNC Bank Corporation, and the American Express Company. Warren’s investment approach is time-tested. It has consistently proven superior. Most investors only see a share price and waste most of their time speculating. In contrast, Warren focuses on knowing the business. To know the business, Warren checks many factors. These include cash-producing capacity, income statements and capital reinvestment needs of his firms. He believes that an investor and businessman must see a firm in the same manner. This is because of both desire a profitable firm. The only difference is that a businessman plans to buy the entire firm. In contrast, the investor plans to buy only a part of it. Ignore what’s happening on the share market. It’s not worth paying attention to. Don’t pay attention to what’s happening with the economy. Economic cycles come and go. Always remember: you’re buying a business, not a stock. Choose the best business available when managing the portfolio. There’s no need to diversify it widely. Also, it’s not compulsory to cover all major sectors. Hold onto businesses you understand most and perform well. As analyzed with the teachings of Warren Buffett Way, it is known that there is the world’s most successful investor who has earned many things in life. It is concerned with the Buffett Way that he learned a lot in life regarding the investment. Through the focus on the early influences of Warren’s life, it is known that there are investment decisions that need to be taken effectively for the benefits. The Warren is successful and wealthy in life because he made a great investment decision. For the financial analysis and through the focus on the underlying investment principles in the book there are some investment decisions. The investors need to analyze and assess a stock because there can be benefits; moreover, it is concerned that why wise investors need to be avoided in the stock market changes. Warren Buffett focuses on the long-term investment; he started the firm in 1956, and he made the initial investment of the $100. He analyzed that investment needs to focus at the right time for the internet and the best businesses. The highly diversified portfolio can be made by the investment, and there is need of attention in the stock market so that there could be a benefit of the business and acquiring. It is worried about the Buffett Way that he took in a great deal in the life concerning the venture. Through the emphasis on the early impacts of Warren’s life, it is realized that there are venture choices that should be taken successfully for the advantages. He broke down that venture needs to center at the opportune time for the web and the best organizations. The much-differentiated portfolio can be made by the venture, and there is a need for consideration in the stock exchange so that there could be an advantage of the business and gaining. Robert G. Hagstrom is the Director and Senior VP of Legg Mason Focus Capital. He is also the Portfolio Manager of the Legg Mason Focus Trust. 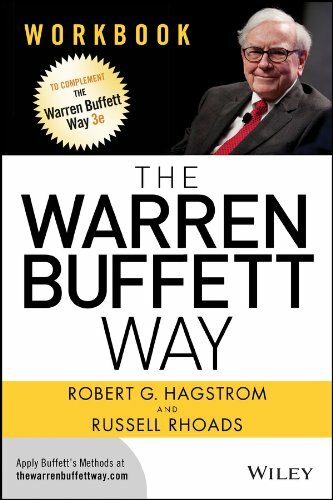 Hagstrom also wrote The Warren Buffett Portfolio: Mastering the Power of the Focus Investment Strategy and The NASCAR Way: The Business That Drives the Sport. What is your thought on The Warren Buffett Way Summary? Please feel free to share your comment with us! The analysis of management is essentially required to have maximum share value against investment and earnings. What is the significance of collecting information for the investment and what are significant resources to evaluate the merits of the stock market? Why fisher was impressed by firms of having increased profits and sales market that allows more sales. This is a very good question. For me, I would try to find the answer from another book summary – The Intelligent Investor Summary. This is the investment bible we should read and read again. The ups and downs of the market have an impact on share prices and profits. The wise business investors consider the market situation before having an investment in stock market. Can you please explain me about economic shifts and it can be avoided. And how smart investors come to know the possible changes in the market positions. Thanks for your comment. You may get more insights from another book summary – The Intelligent Investor Summary. 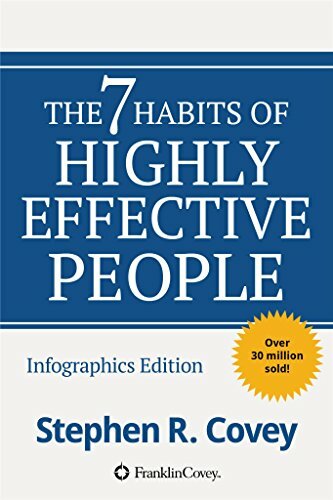 This is the investment bible we should read.